Two fun-filled stories written by Michael Bond - Paddington's First Concert and Paddington at St. Paul's – read by Simon Russell Beale with the BBC Symphony Orchestra. 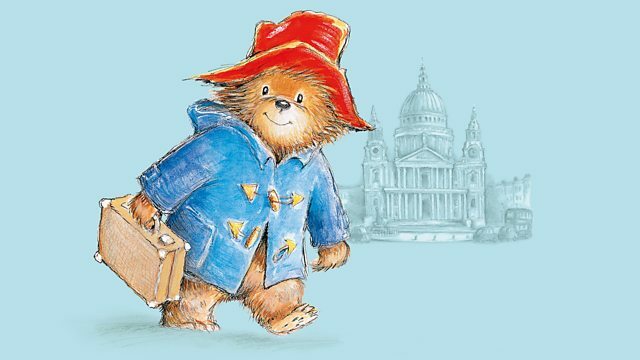 Two fun-filled stories for all the family written by Michael Bond - Paddington's First Concert and Paddington at St. Paul's – read by Simon Russell Beale with the BBC Symphony Orchestra. Recorded at Milton Court Concert Hall, London, on 7 October 2018. TCHAIKOVSKY: Preghiera from Suite No. 4 Op. 61 "Mozartiana"
Paddington’s First Concert sees the marmalade-loving Peruvian bear making his conducting debut - at the Royal Albert Hall. And in Paddington at St Paul’s he is surprised to find himself a member of the Choir of St Paul’s Cathedral. Paddington's First Concert was written by © Michael Bond 1973 and is published by Chester Music. Paddington at St Paul’s was written by © Michael Bond 2018 and is published by HarperCollins Children’s Books. Illustrations © R. W. Alley 2018. Narrator: Simon Russell Beale. Orchestra: BBC Symphony Orchestra. Conductor: Ben Palmer. Orchestra: BBC Symphony Orchestra. Conductor: Ben Palmer. Music Arranger: Classical Jazz Quartet.